Subtitled Five Centuries of Nature Writing from the Caribbean, this is a treasury of travellers’ impressions, each one just a few pages long. There is some fine nature writing, but it is not all nature, nor all travellers. Here is Columbus’s first letter home, full of excitement about his discovery of “many islands filled with people innumerable”. But here too is V. S. Naipaul re-encountering his native Trinidad in 1962, Jamaica Kincaid evoking her native Antigua in 1988, Derek Walcott conjuring up the Caribbean seashore of his childhood. 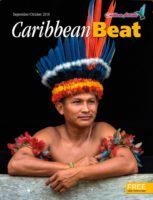 In between come Las Casas on Spanish crimes, John Hawkins on his second voyage, Raleigh struggling up the Orinoco River, Darwin exploring Belize’s reefs, Hemingway on a storm in the Florida Keys, and much more. 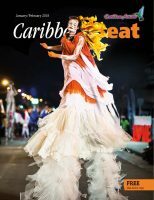 The collection has been thoughtfully put together and handsomely produced, and could make good reading for a new generation of travellers and visitors to the Caribbean. 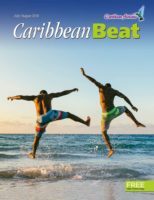 This useful new book is basically a small Caribbean encyclopaedia. 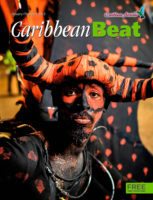 Sub-titled The A to Z Reference and A handbook to the people, places, plants, animals, culture and major historical events of the West Indies, it starts with the ABC Islands and ends with the zemi, the carved household deity of the Caribbean’s original Amerindian settlers. If you need to know about soursop or souse, track down the Ray Street Boys, locate Kick-em-Jenny or The Bottom, or find out why you should not shelter under a manchineel tree, this is your hook. The author is a former hydrographic surveyor with the Royal Navy who worked extensively around the Caribbean, practised as a marine consultant in Antigua, married an Antiguan wife, and now lives in Montserrat as a fulltime writer. This easily accessible, carefully cross-referenced handbook is a real contribution to regional information resources. A terrible Beast has swallowed up the sun, and to save the world from eternal darkness young Ti-Jean must make a long and perilous journey full of dangers and adventures, as far as Africa and, cross the three seas and four kingdoms to the cold and arid lands of France and into the Kingdom of the Dead. This is a powerful tale from a powerful Guadeloupean writer; it’s her second novel (after The Bridge of Beyond) it appeared in France in 1979 (where it was lavishly praised: “full of magic, vision and adventure”, said Le Figaro) and is at last available in an accessible English translation. Ti Jean’s quest is a metaphor for the French Caribbean’s quest for a separate identity, but at any level this is a beguiling story. One of Trinidad’s big attractions is nature-birds, animals, trees, plants; and for anyone embarking on a good ecotourist trek, this is the essential guidebook. It is a revised edition of the 1982 book by ornithologist Richard ffrench and zoologist Peter Bacon, now reissued by the original Trinidad publisher (SM Publications) in association with the Asa Wright Nature Centre. Dr Victor Quesnel is a botanist who has re-walked all the trails and updated and clarified many of them. About a quarter of Trinidad and Tobago’s population is Hindu (a further 6%, is Muslim), descendants of the indentured labourers imported from India by the British between 1845 and 1917 to work the sugar estates after the end of slavery. 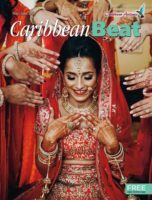 This community has had a profound effect on the country’s recent political and economic history, yet even now the cultural mainstream in Trinidad and Tobago knows surprisingly little about the realities of the Hindu community. This book is an academic study by a Research Fellow at the School of Geography at Oxford; it is packed with information and insight about the development and outlook of the Hindu community, and its contemporary social structure and practices. Eric Williams, Waiter Rodney and C. L. R. James are among the figures discussed in this first half of a two-volume study which sets out to analyse the role and influence of the Caribbean intellectual. Other chapters deal with the University of the West Indies, Négritude (by Rex Nettleford), Links with African American Thought, and (in an ominously titled climax) The Demise of the Intellectual? 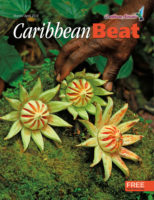 This focuses on one of the book’s major themes, the ability of Caribbean intellectuals to deal with changing realities. The editor is Professor of History and Director of the Centre for Caribbean Studies at Warwick University in England. 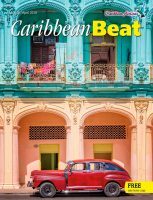 This densely-written novel takes the magic realism popuIarised by Garcia Marquez; and others and applies it to Caribbean folk tale and symbolism, spicing the result with flavours derived from James Joyce and his literary descendants. The setting is Trinidad lightly disguised as Corpus Christi, the voices come from every generation and ethnic group, and the story is of the magical Magdalena Divina, worshipped by everyone from Catholics to Hindus, who gives birth to a mysterious child, half-man; and half-frog, and whose statue wanders through the Maraval swamp. Robert Antoni, from Trinidad ancestry and the Writer’s Workshop at the University of Iowa, now lives in Barcelona; you may fall in love with the book or fall asleep, over it, but you’re unlikely to be indifferent to It. Jamaican poems and stories for young children by one of the country’s most interesting writers. 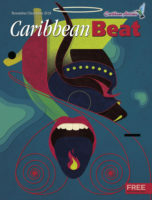 Seven powerful stories by the Jamaican poet and storywriter, with vivid Jamaican settings. Zany poems and riddles, rap and tales, in praise of laughter (and eggs). A new 60-minute home video of the Trinidad and Tobago soca superstar, including favourites like Bahia Gyal, The Hammer, Nuff Respect, Bacchanal Lady, Calypso Music and Down at the Shebeen. An audiocassette of lively Caribbean humour from master comedian Dennis Hall: the second volume is now available from Multi-Media Ltd., 3 Christina Court, Boissiere Village, Maraval, Trinidad and Tobago.